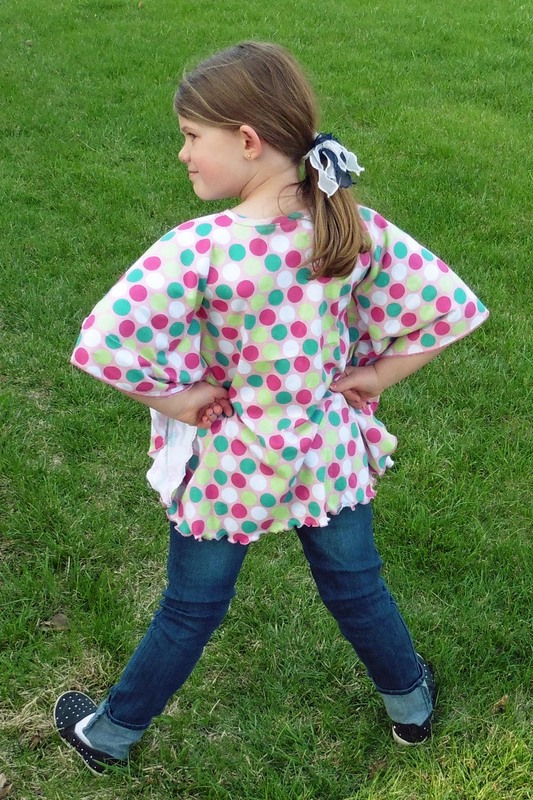 Rain’s Flutter Top in Polka Dots – Everything Your Mama Made & More! 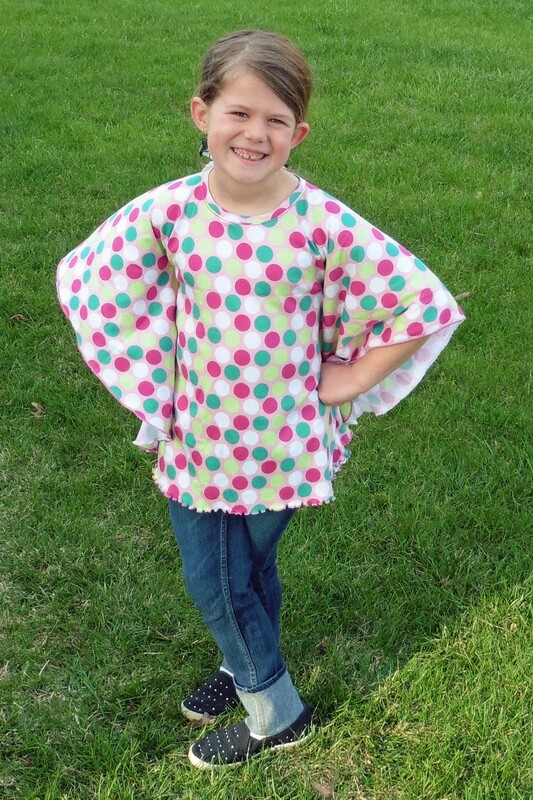 So when I asked her what she’d like, she said she really wanted a shirt like mine with “stripes on the inside and spots on the outside.” I told her I could easily make her the girls size Rain’s Flutter Top and her face lit up! Unlike her tall sister, she fits fairly well into store-bought sizing and so sometimes I overlook sewing things made just for her. She’s usually happy with the hand-me-downs and rarely asks for more. 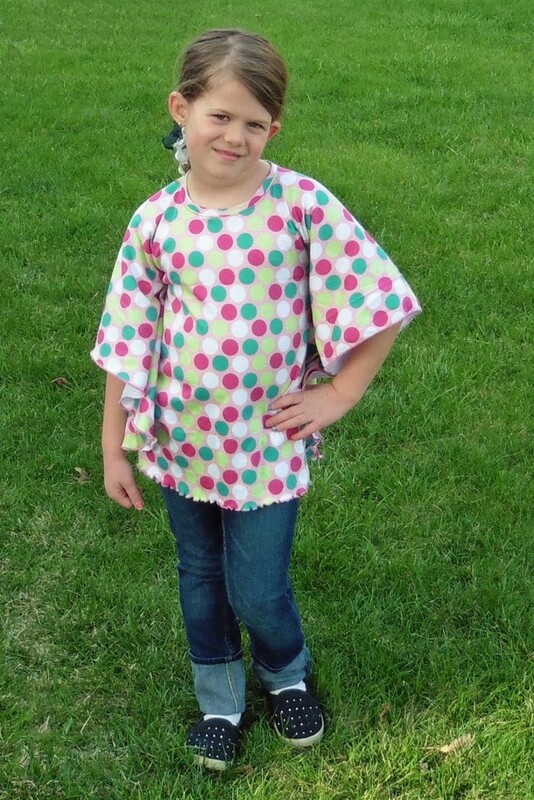 After discovering that I didn’t have any more reversible knit like I used on my Storm’s Flutter Top, we dug through my stash together and found these girly polka dots … and she was smitten! Less than 2 hours later, my girl had a finished shirt and was so excited to put it on. Her favorite part of wearing it? Waving her arms around and watching the shirt move “like wings”!! This girl is my best photographer when I need pictures of myself (yes, she’s even better than her father … lol) and rarely asks me to make her anything special, so I knew her request was something I shouldn’t procrastinate. After seeing her reaction, I’m so glad I took the time to get her shirt made right away! It certainly helps that Rain’s Flutter Top is such a fast project!